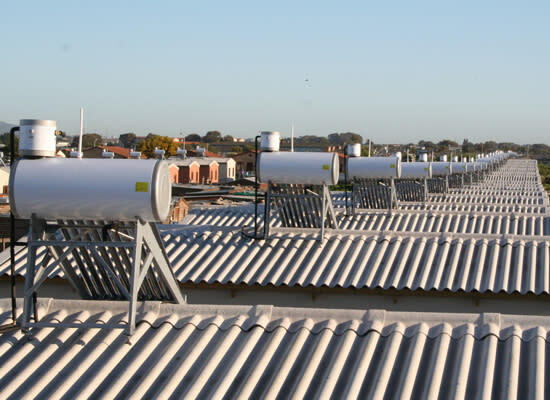 Mzansi Solar specialize in Water Heating We believe trust is the basis of every human relationship, every transaction, and every market. We serve the community of Garden Route and the Klein Karoo. Our mission is to deliver quality information and address customer concerns in a timely satisfaction manner. Our vision is to build customer relations where we become your trusted advisor in water heating. Our services include: . 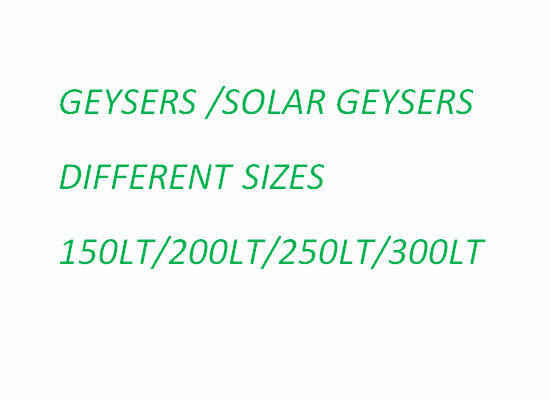 Solar Geysers. . Large Scale Heat Pumps. . Underfloor Heating. . Geyser Maintenance and Replacement . 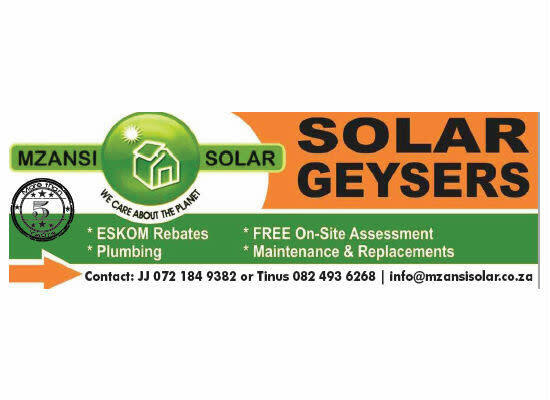 General Plumbing. . Submission of Eskom Rebate Documentation. . Upfront Eskom Rebate Financing Whether your priority is to save the planet or just to save money, we can help you find the solution that suits you best. 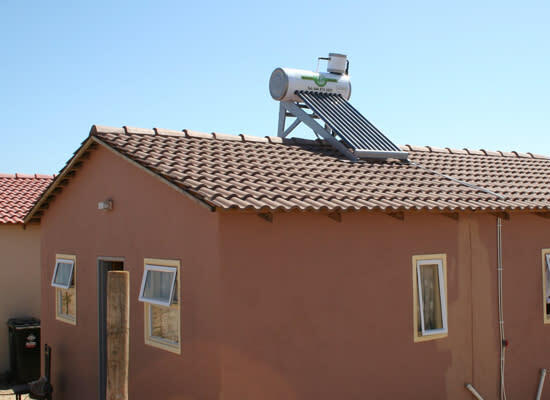 Through partnerships and associates we will connect you to complete solar and alternative energy solutions in the Garden Route. The satisfaction of our clients and the quality of our work is our pride. We are situated in George, on the Garden Route of the Western Cape Province, South Africa.